Are you ready to be inspired? 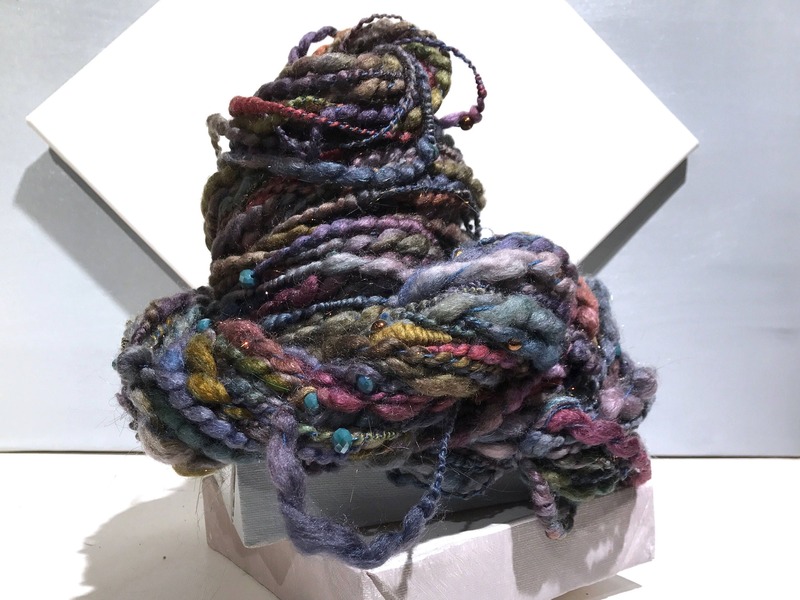 Do you enjoy the luxury of working with handspun art yarn as unique as you are? If so this is the club for you! We have said it before, but it bears repeating--We like to think of ourselves as creative enablers. One of the biggest joys we take from our work is in the knowing what we make becomes part of what you make. That said, we are inspired in our work by many things our lovely customers, nature, history and our furry friends. 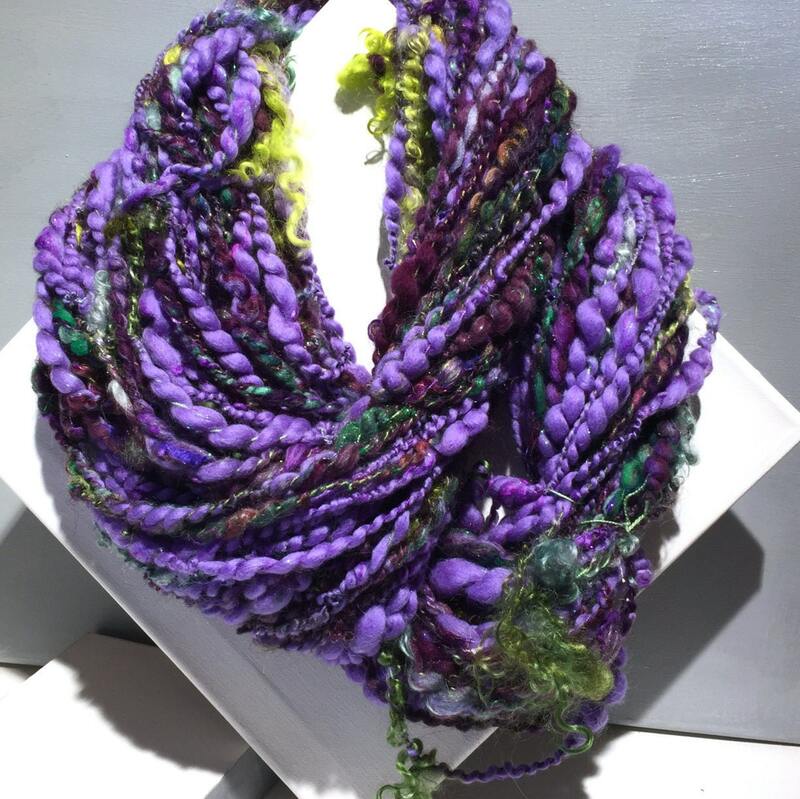 This yarn of the month club is inspired by our love of gardening. Laura and Steph, the owners of Wildethyme Art, are both fantastic gardeners who love to tend veggies and flowers -- and that is where the inspiration for this unique line comes from. 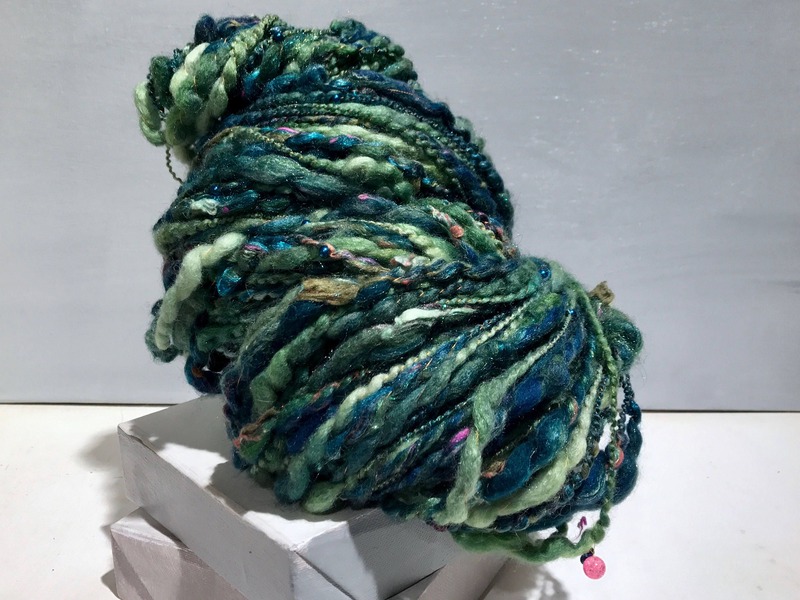 Every month you will receive a handspun yarn of unique fiber blends inspired by our love of gardening. 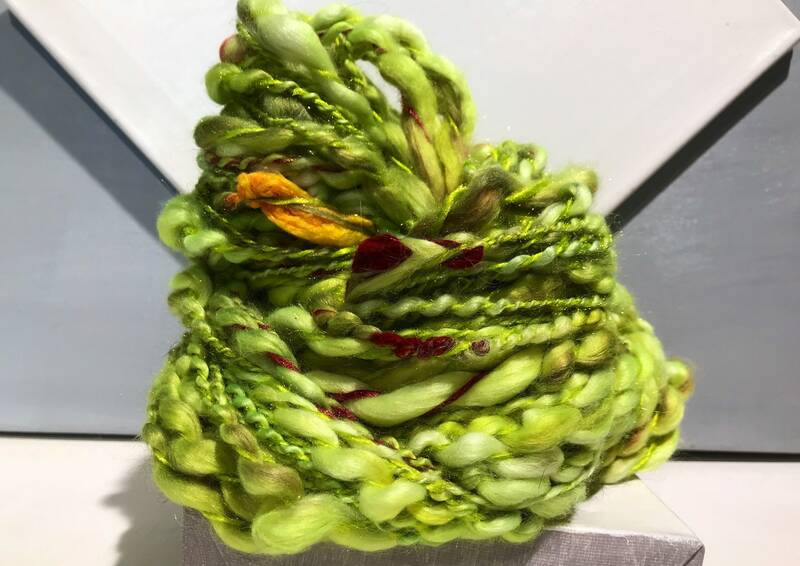 The fiber used is dyed, hand carded and blended especially for club members with exclusive colorway from a plant in one of several of our gardens! These colorways will not be available to the general public until at least 6 months after the club has ended--if ever. 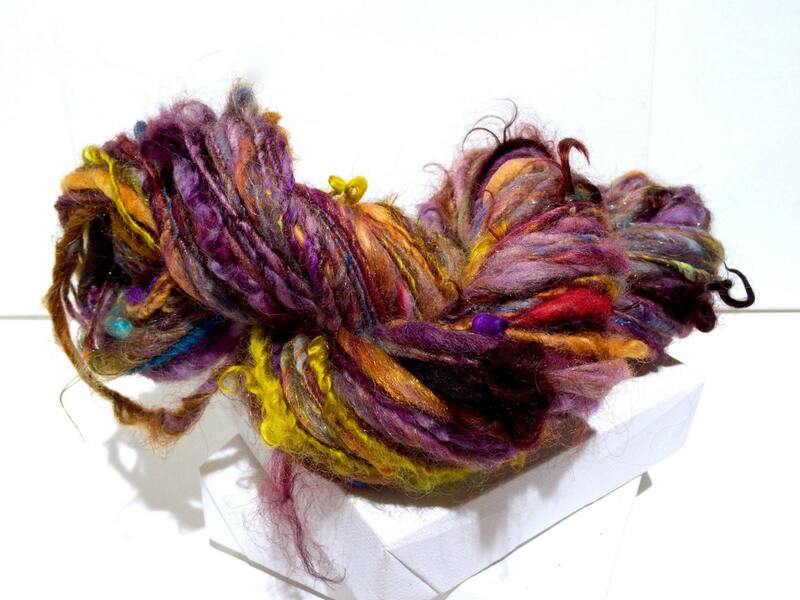 Your yarn will arrive with a card telling about the plant that inspired the month's yarn. -- Shipped in a biodegradable, cello bag. 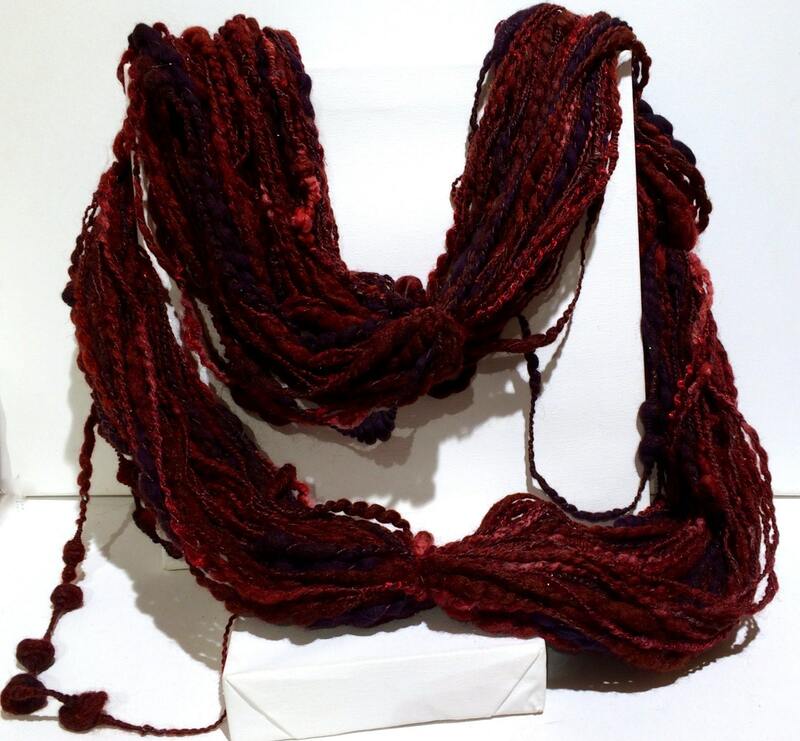 -- Yarn is mailed around the 27th of each month, a week after our fiber clubs ship. month for your first yarn. It just depends on the projects and orders we have at the time. on the more delicate side. 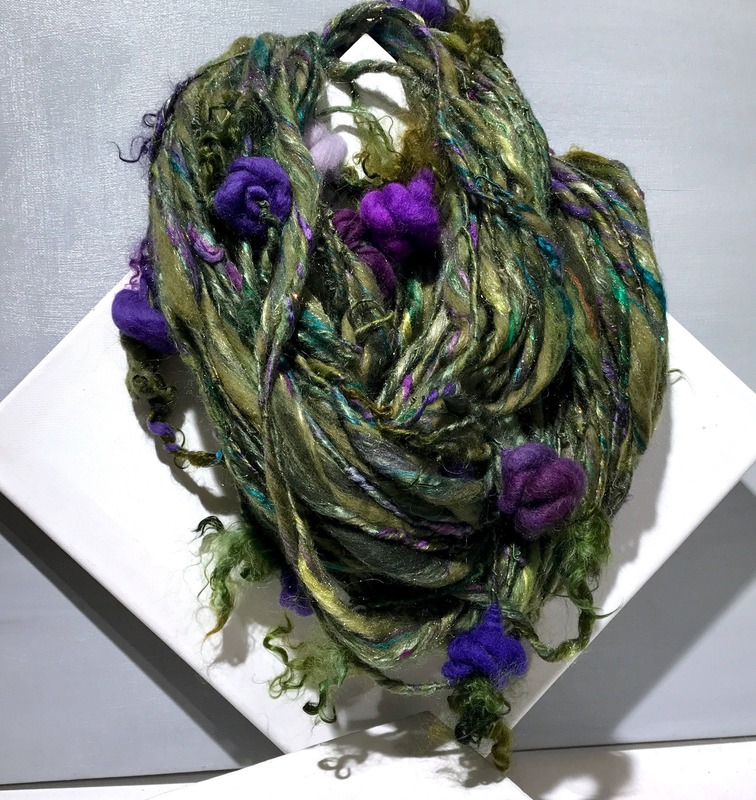 greens and violets as complements. This really is the gift that keeps on giving! 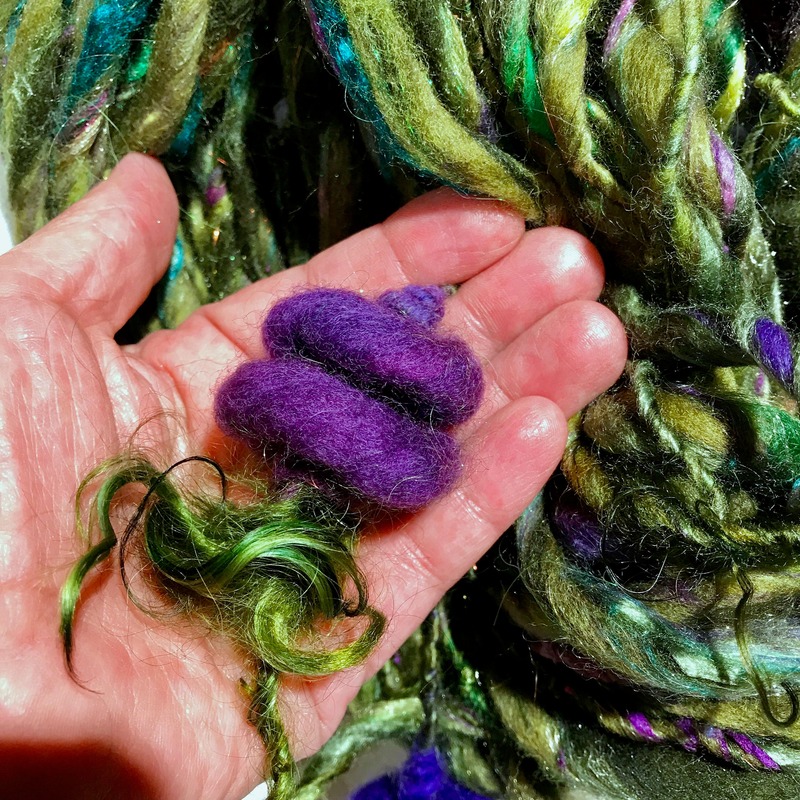 This club is wonderful for those who want to shake out of old color habits, for those who wish to try new art yarns, and for adventurous weavers, knitters, felters and crocheters! 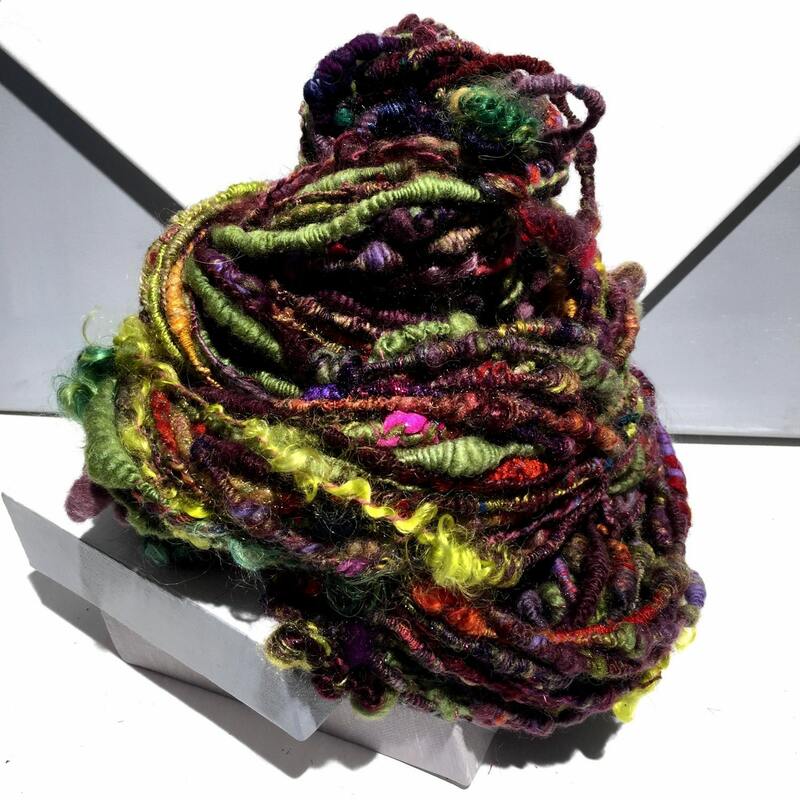 Advantages to being a club member are: exclusive color ways and fiber bases, free shipping and fun in your mailbox each and every month! We will make sure that the normal price of the combined are more than what you pay for a club membership so aside from being tons of fun it is also a great value! Yarn will be shipped around the 27th of each month, a week after our batt clubs ship. Membership spaces are limited, so sign up now! *We use a mix of commercial and farm raised fiber. These *may* contain bits of vegetable matter-- most, if not all, of which will fall out as you work the yarn. 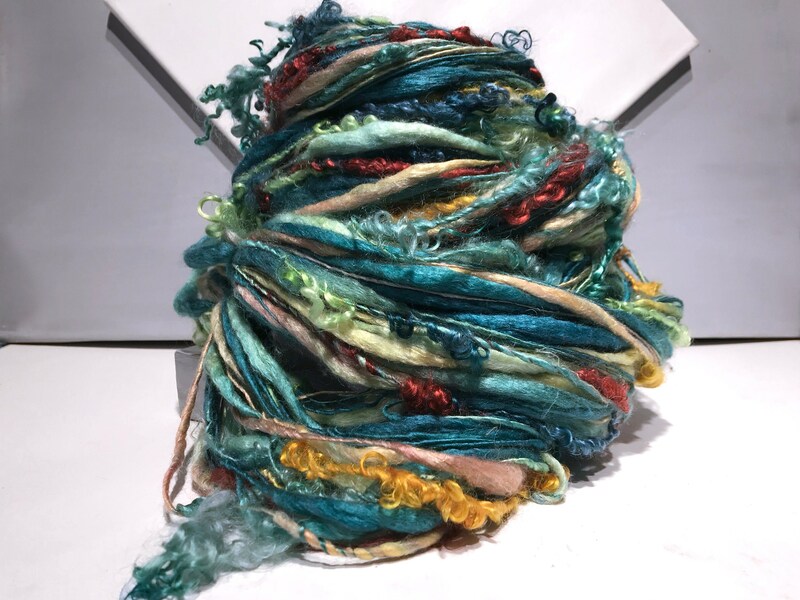 Thank You - My August Art Yarn Sings it is SOOO Soft and Beautiful . . . looks just like Laura said . . . a "Flower Box Full of Sunlit Colored Flowers" !!! Love this - the beads are a great touch. Can't wait for the next shipment. Thanks!